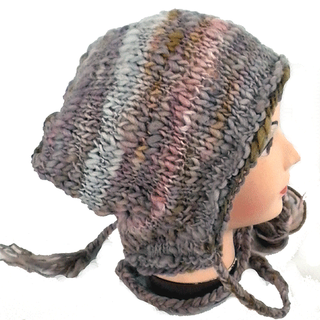 Decreasing adds pointed earflaps to this pointy-topped floppy pixie style hat. 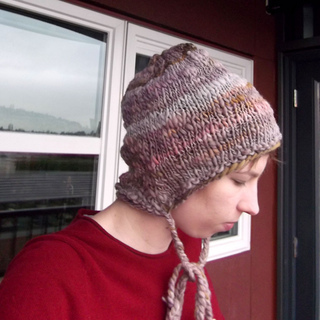 You will need stitch markers to mark decrease points for this hat. Notice that the decreases for the earflaps are not halfway across- the distance across the forehead is shorter. 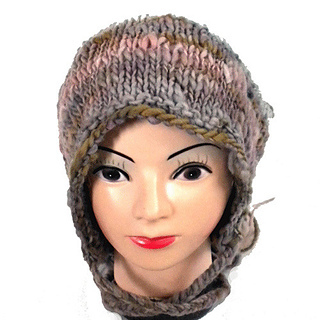 Size: Small/Child 18 inches around, Medium Adult 20 inches, Large Adult 22 inches. Gauge: 3 stitches/inch. Do a gauge swatch to make sure you have the correct gauge.